Waterville Valley Region - New Hampshire - Take a day trip! peaks. I would recommend purchasing the Appalachian Mountain Club’s guide to the White Mountains and/or a hiking map of the local area which is available at a few stores in the area as well as the tourist information center at the exit of I-93 into Waterville Valley. Two notable hikes that include some great mountaintop vistas include Mt. Tecumsah and Mt. Tripyramid. Mt. 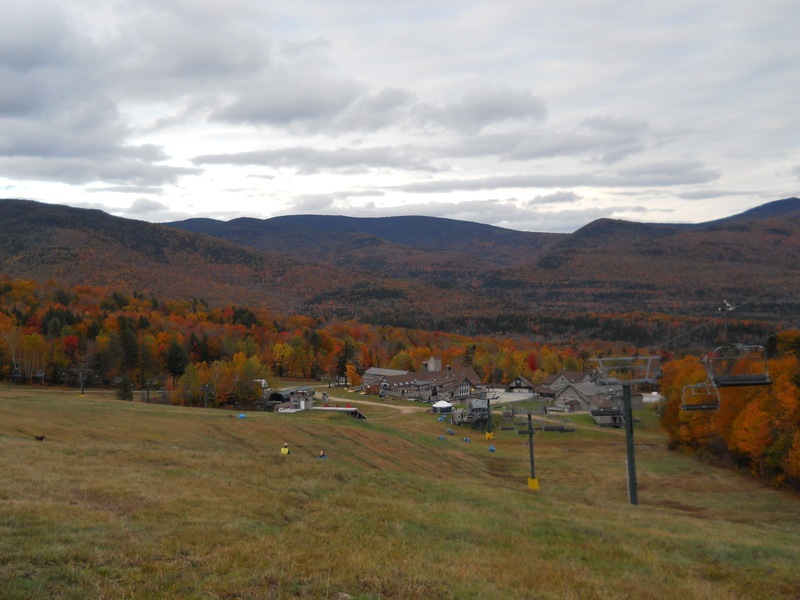 Tecumsah is the mountain that hosts Waterville Valley ski resort and has a lot of spots on the way up where you can enjoy the view. Mt. Tripyramid is a very challenging hike that includes the opportunity to summit 3 peaks over 4,000 feet in the same hike! Downhill Skiing: Waterville Valley Ski Resort is one of the larger ski resorts in New Hampshire and tends to be less crowded than many of the other large resorts in New Hampshire. For more details about conditions, events and other useful information please go the ski resort’s website. Snowshoeing and Cross Country Skiing: Many of the trails in the Waterville Valley area are ideal for snowshoeing and cross country skiing with enough snow on the ground. 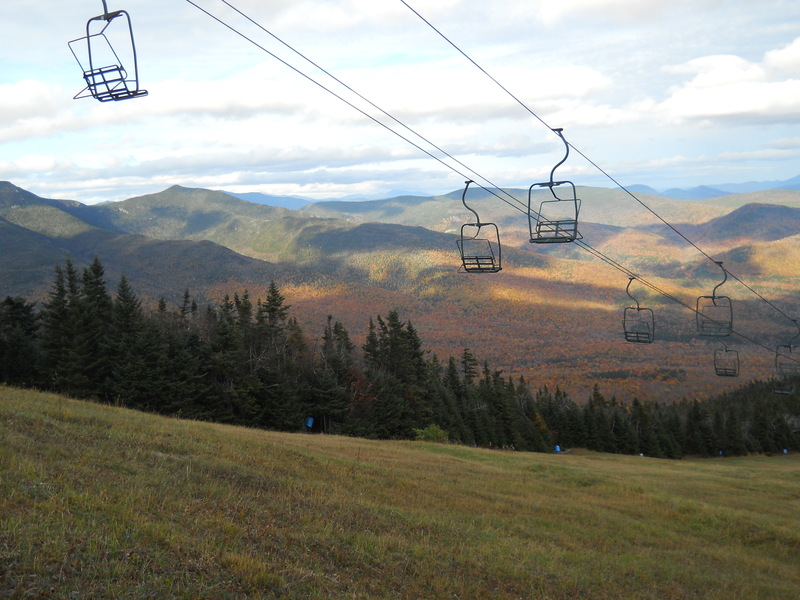 Fall Foliage views and ski lift rides: Waterville Valley offers scenic chairlift rides most of the way up Mt. Tecumsah on select dates. Bicycling: Waterville Valley is a lovely drive and, in the warmer months, a great loop on NH State Route 49 and Tripoli Road. Tripoli Road from Waterville Valley to I-93 is closed in the winter. 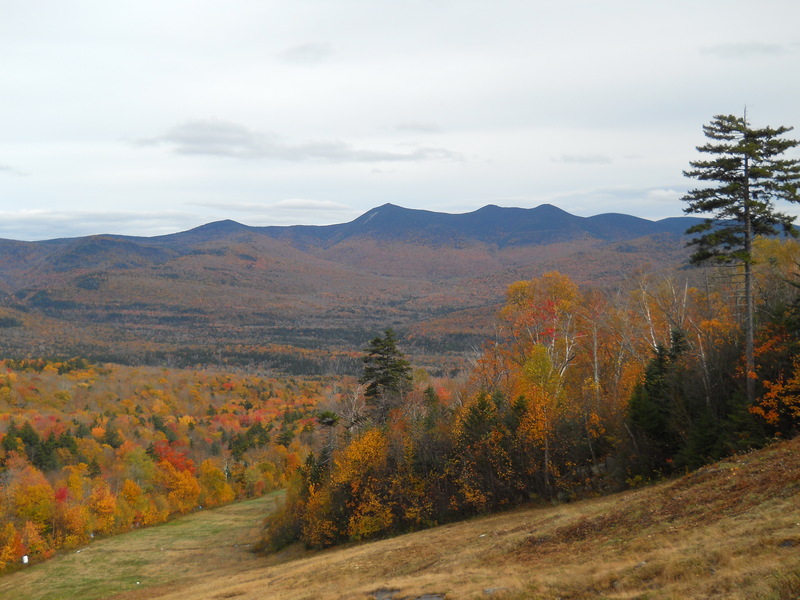 Camping: There are several campgrounds in the White Mountain National Forest that surround Waterville Valley. For more information go to the reservations website for available, rates and information about available facilities. 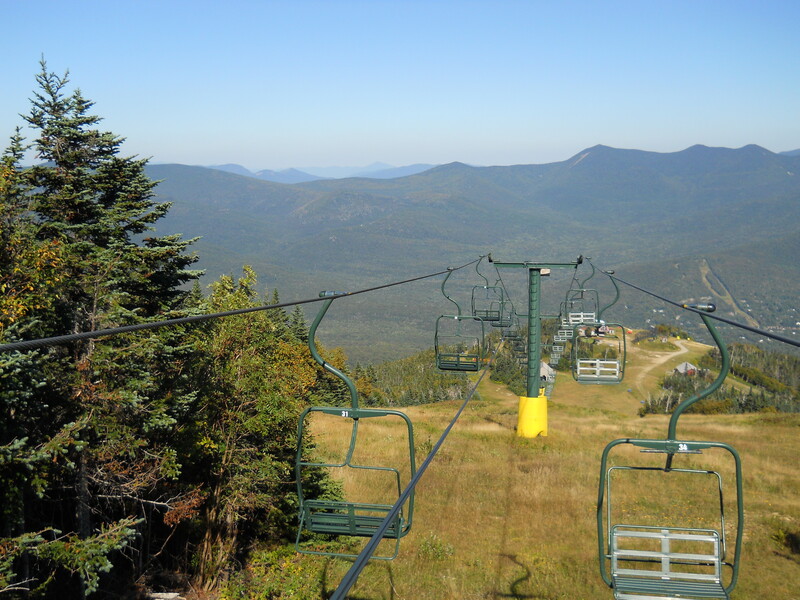 Waterville Valley is a full service resort area meaning that there are facilities for most of your needs as a visitor in the valley including restaurants, stores, lodging and shopping as well as camping, tourist information and lots of other ways for you to spend money up there. The facilities at the bottom of the ski resort aren’t open year round though the facilities at the village area are open year round. 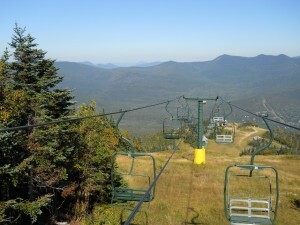 Waterville Valley is very easy to reach. Take I-93 to exit 28 in New Hampshire for NH State Route 49. Follow the signs to Campton/Waterville Valley and you’re there. In the warmer months when it’s open you can also take exit 31 off of I-93 and take Tripoli Road into the valley.